Free Download Manager is a great Internet speed accelerator. With this free download manager and accelerator, you can download files and complete web sites up to 6 times faster than before. It will protect you from malicious downloads – you can read other user reviews right from the download window. Here is an instruction to tell you how to speed up it. 1. 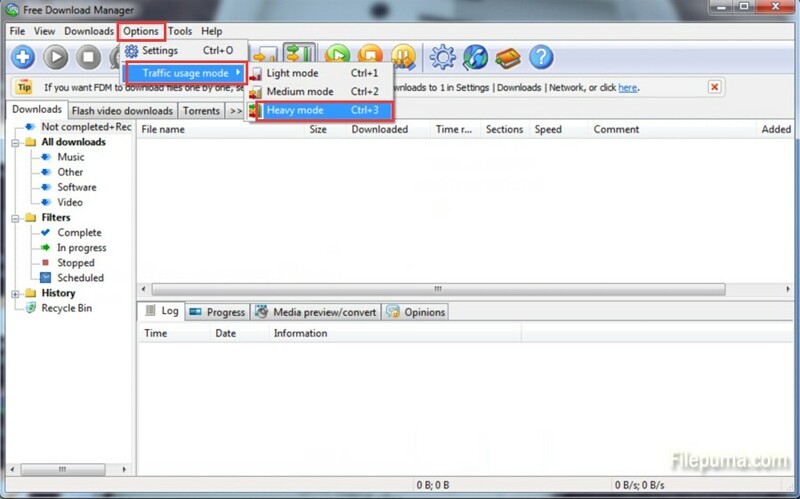 Start your Free Download Manager. 2. Go to “Options” from the top menu. 3. Click the “Traffic usage mode” tab and choose “Heavy Mode”.